Havanese are highly intelligent dogs who love their people and are very eager to please. One aspect of their temperament that makes them so easy to live with is their sensitivity to the emotional state of those around them. Havanese have a high degree of emotional intelligence and are aware of what their people are feeling. This, combined with their desire to please, creates a dog who is ready and willing to do whatever you are ready and willing to do. If you are happy, your dog is happy. If you are sad, your dog tries to comfort you. If you want to play, your dog is ready. If you want to chill and relax, your dog is more than ready for some lap time. This temperament trait is one big reason many people decide on a Havanese as their breed of choice. They are therapy dogs and many people purchase them to help them move past the loss of a pet or loved one, to be a companion in times of loneliness, or to help them heal from something else. Most positive traits, however, also have their negative counterpart. With the Havanese, this shows up when there are long-term or extreme negative emotions displayed in the dog’s home environment. Havanese dog owners need to be aware that anger, bitterness, long-term sadness, excessive stress or panic, and other negative emotions can have negative effects on the personality or behavior of your Havanese, and in some cases, can cause your havanese to become physically ill. Havanese will use their emotional energy to try to help you feel better and doing this long-term can drain your dog of its emotional resources resulting in negative emotions or behaviors from your dog. As Havanese dog breeders we have had several cases where people have called us with concerns over negative personality displays or behaviors in their dog that are uncharacteristic of the Havanese breed. After talking with the owners we usually find that there is something else that has happened in the home that is putting a high degree of emotional stress on their dog. For example, lots of anger in a household can create a skittish Havanese. If the dog’s owner is very stressed or upset for a sustained length of time you might find a dog who becomes depressed and lethargic until the circumstances change. These are just two examples and are by no means exhaustive. The biggest reason we find for negative personality or behavior changes in a Havanese is when the owner has changing circumstances in his or her life and begins leaving the dog alone regularly for long periods of time. Havanese are companion dogs and have a need for another social being whether that be a human or another social dog or animal. Havanese owners need to think of their dog kind of like a human child. If there is stress in the home it will upset the child. Children are good at bouncing back under normal circumstances but in an environment with regular and sustained stress the child may suffer in personality and behavior. With this being said, people should understand that Havanese are very good at rolling with life with its ups and downs and most people have absolutely nothing to worry about when it comes to life’s stresses and the personality of their dog. They roll with stress and recover very quickly. They are amazing therapy dogs and help people heal. I am writing this so that Havanese owners can be aware of this trait in their Havanese so that in cases of extreme or prolonged stress they can be sensitive to the emotional state of their dog. 10. Havanese are Not hyper. Any puppy will have more energy and be more rambunctious than an adult but a good quality Havanese dog should have a “chill” temperament and will not be bouncing off the walls. A quality Havanese puppy or adult should never be aggressive, growl, or snap at children or adults. Many people with dog allergies can have a Havanese dog because of their hypoallergenic qualities. As far as dog breeds go, Havanese is one of the more healthy, exhibiting less overall health problems than other popular breeds. It is normal for a Havanese to live 14-16 years. Little dogs are usually harder to housetrain than big dogs. That being said, Havanese are one of the easiest of the toy breeds to housetrain. Havanese are very gentle and easy-going dogs. A quality Havanese should be very good with kids, other dogs, cats, and other animals. Havanese make great apartment dogs because of their laid back temperament. They do not require the strenuous exercise that many other breeds do. Havanese will self-exercise on their own if needed to meet their needs. Of course they will always enjoy a walk or lots of room to run. Havanese are a quiet breed. They do not bark for no reason and usually only bark to let you know if someone comes to the door. Havanese are very emotionally sensitive and eager to please. They are bred as companion dogs and will take on your mood. If you want to play they want to play. If you want to walk they want to walk. If you are sick or want to chill with a movie they want to chill with you. If you are down they want to comfort you. If you are excited they get excited too. Having your Havanese breeder or your vet microchip your new puppy could be one of the best decisions you ever make for your dog. Microchipping is the process of placing a very small identification chip in between the shoulder blades of your Havanese puppy. The procedure is quick, lasting only a few seconds, and is very similar to giving a vaccination. Your puppy’s microchip number is then registered in a national database showing you as the owner. Microchip placed next to a dime. Most vets and all animal control shelters carry microchip scanners and it is standard protocol for animal control shelters to scan each animal that is recovered to see if it has been microchipped. 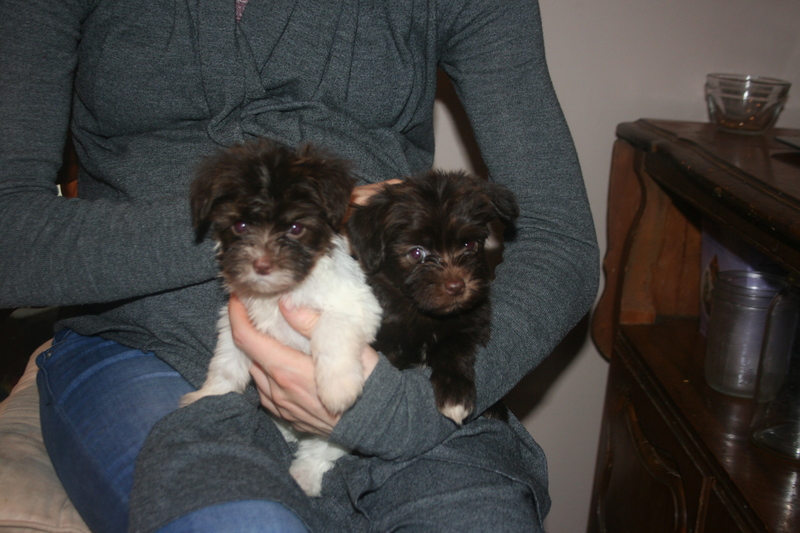 Here are three reasons to consider having your Havanese puppy microchipped. 1. It is a permanent means of identification. ID tags can get lost, chewed off, or may be deliberately removed if your dog is stolen. Getting your puppy tattooed is a permanent ID option but it is much more complicated and expensive than microchipping. 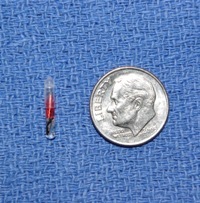 A microchip is permanent, easy, and inexpensive, and it can not be removed without surgery. 2. It proves that you own your dog. Havanese dogs are highly desirable and are extremely sweet to boot. If someone finds your Havanese and there is a dispute over who is the rightful owner, a microchip registration will settle it. There are also numerous cases of stolen pets being returned to their rightful owners, even years later, because the owner had microchipped their pet and a vet or animal control center ran a microchip scan. 3. It drastically improves the chances of recovering your Havanese should you become separated. Without a proper identification only 10% of lost animals are recovered by their owners. Microchipping your Havanese will greatly improve your chances of recovery should you and your dog become separated. 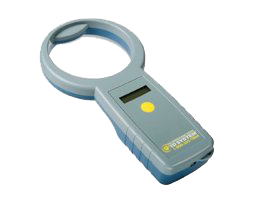 It also provides peace of mind knowing that if someone scans your dog you will be contacted. Here at KASE Havanese we recommend that you register your microchip information in the national database, at your local animal control shelter (they will check the national database but registering with them may help streamline the process), and at your local vet. We also recommend using an additional collar ID tag with your phone number so that if someone finds your Havanese they can call you to return it. 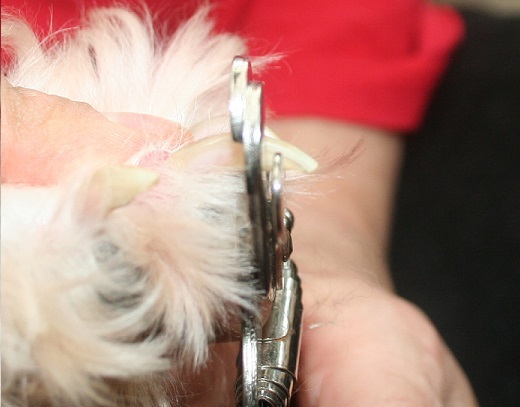 Trimming your Havanese dog’s toenails can be an intimidating notion. 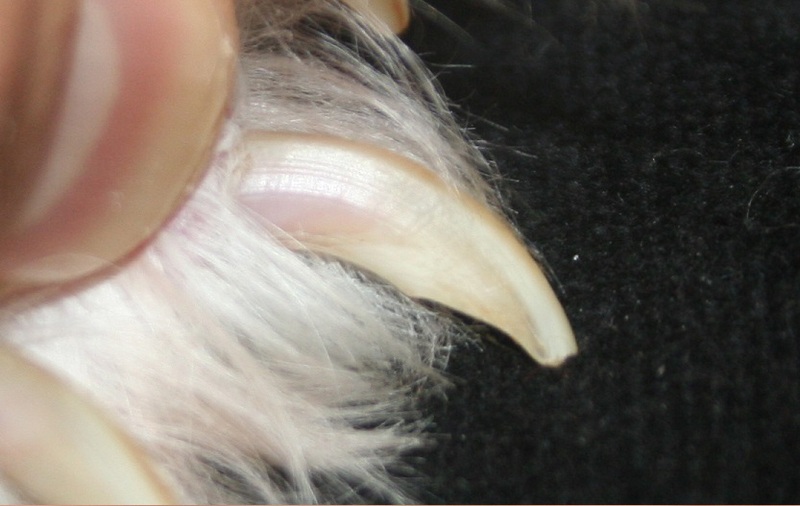 I have talked with numerous people who have their vet trim their dog’s nails for them just to make sure it is done right. 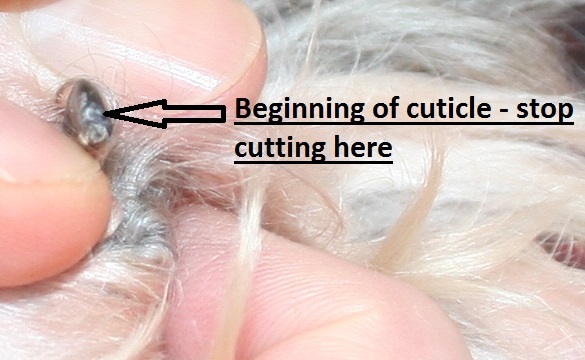 The good news is that trimming your Havanese dog’s toe nails is as simple as trimming your own. Once you learn where to make the cut, the process is quick and simple and works for Havanese puppies and adults. For Havanese puppies and smaller adults regular fingernail or toenail clippers will work just fine. For larger nails you may prefer to purchase a set of toenail clippers online or from your local pet supply store. Havanese have four toenails on the rear paws and five on the front. 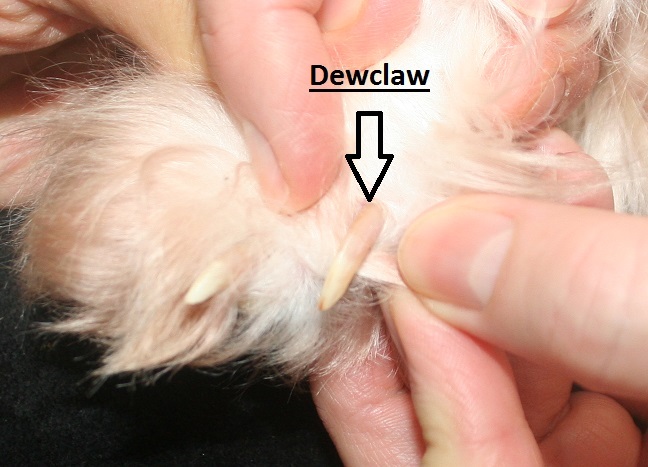 The fifth nail is the dewclaw and is located on the side of the paw at the “wrist” area. 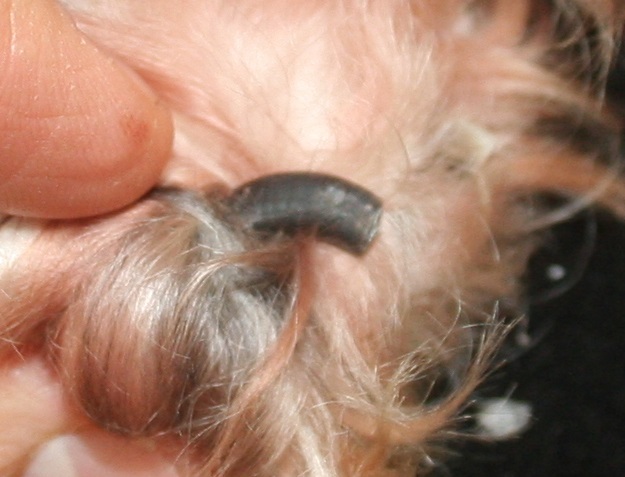 There are both translucent and black color toenails. Knowing where to make the cut on a translucent toenail is simple. The pink quick is visible to the naked eye. To trim the nail make a cut perpendicular to the toe nail about 2 millimeters above the quick and you’re done. It’s really that simple. As long as you don’t cut into the pink area you will not cause bleeding or discomfort to your dog. 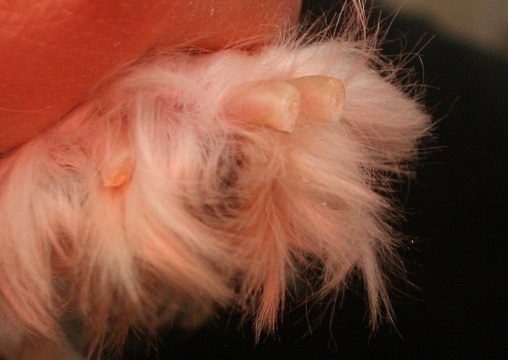 Make a cut perpendicular to the toenail 2mm away from the pink quick. Black toenails are a little more tricky. The pink quick is not visible so it is easier to accidentally cut too close. The easiest way to trim black toe nails is to “tip” the nails by making small perpendicular cuts starting at the tip of the nail and gradually working in until you reach your comfort level. You might not get as close a cut as you would with a translucent nail but “tipping” consistently will still keep your dog’s nail length in check. If you want a closer trim on black nails you must try to identify the edge of the quick as you are trimming the nail closer. As you approach the quick you will notice a homogeneous grey to pink oval area appearing toward the middle to top of the nail. Once you see this, stop. Any further cutting will cut into the quick and cause bleeding and discomfort. This area is more difficult to see on small dogs like the Havanese and there may be a bit of a learning curve to this method. 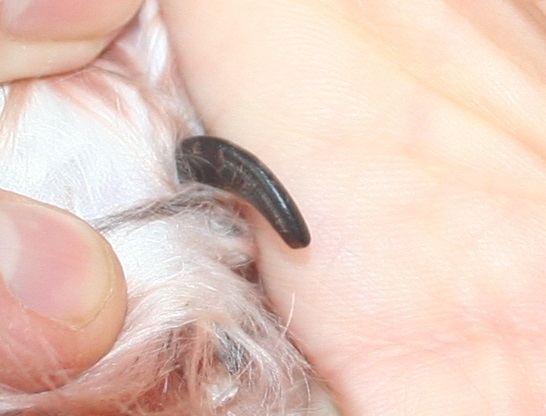 Many people are concerned about cutting the nail too close and hurting their dog. The best way not to do this is to go slowly, take off just a little bit at the time, and stop when you reach your comfort threshold. If you do happen to trim just a tad too close and bleeding occurs don’t panic. You’re dog will be fine. 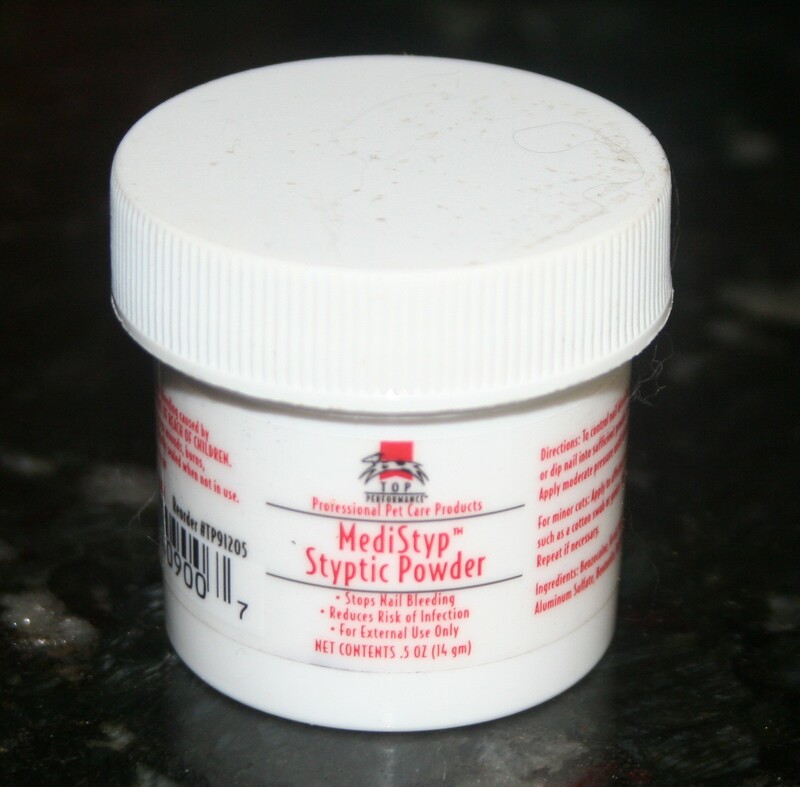 Dip the bleeding nail into styptic powder or press into a styptic pencil to stop the bleeding. The nail should heal up nicely. Can I feed raw liver to my Havanese? Well, it turns out that raw, grass-fed liver may very well be one of the most nutrient dense super-foods available for K-9 consumption. Liver contains lots of extremely high quality protein as well as a plethora of nutrients including large amounts of vitamin A. It also contains vitamins C, D, E, K, vitamins B1, B2, B3, B5, that hard-to-find B12, biotin, omega-3 and omega-6 fatty acids, and is a tremendous source of iron as well as zink, selenium, and manganese. If consumed raw the liver also has active digestive enzymes which aid in food digestion and absorption. These nutrients are important for almost all functions in the dog’s body including maintaining a strong immune system and proper brain and heart function. Havanese Dog breeders may consider liver as a supplement for its positive effects on the K-9 reproductive system and blood hemoglobin. So what about the Havanese? Isn’t it a domesticated dog that requires kibble or canned food? Won’t raw meat mess digestion up? My experience with Havanese has answered that question with both a yes and no. The Havanese is a domesticated dog that can have a sensitive stomach. Table scraps and unfamiliar foods can be dangerous causing vomiting and diarrhea leading to dehydration and sometimes aspiration. I have personally known Havanese that have died from eating too much of the wrong thing from the table. That being said, Havanese are still dogs just like wolves, foxes, and coyotes and are capable of eating raw foods as well. The domesticated Havanese has developed a micro-ecology (friendly micro-organisms that aid in digestion) in the gut that is used to digesting kibble or other processed canned foods. When introducing too much of a new food in too short a period of time it effectively “shocks” the dogs digestive system with substances that the gut is not used to digesting and the dog’s body rejects the food resulting in vomiting and diarrhea. When introducing raw, cooked, or dehydrated liver to your Havanese it is wise to start very slowly with a very small chunk about the size of a dime. If your dog does well then very slowly increase the portion over a period of a few weeks to the desired amount. Make sure to monitor for any vomiting or loose stools. If you encounter any, take a break for a day or two and try again later after the dog’s system has normalized. Going slow allows the dog’s gut micro-organisms time to evolve and adapt to digesting the new food. What kind of liver should I get and where do I get it? Something to take into account when feeding raw foods of any kind to your dog is the source and the quality. Beef liver that is from a cow fed with genetically modified corn and soy and kept in confinement housing will have a very different nutritional profile than one that is grass-fed with plenty of room to roam. Whenever possible we try to purchase our organ meats from local farmers who raise grass-fed cows or sheep. Pastured chicken livers are also an excellent choice. Not only is grass-fed liver much more nutritious, it also has considerably fewer toxins, and is usually much cleaner, not having the high levels of harmful bacteria that have been associated with raw meat scares. 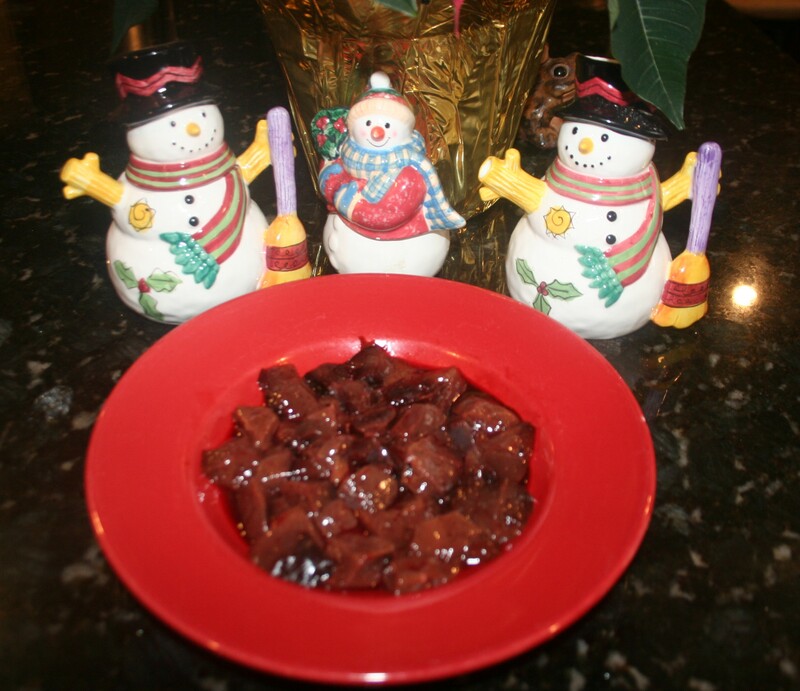 If raw liver makes you a bit squeamish then cooked or dehydrated liver is a close second-best. You will still want to check your source on all products to make sure it is from grass-fed or pastured animals. How much liver should I feed to my Havanese? The general consensus is that liver can comprise up to 5% of the dog’s diet. I give a few small chunks a day to each of my dogs. Because liver is so high in vitamin A there is some concern that dogs may get too much. The fear is that over a period of time, too much accumulating vitamin A may result in vitamin A toxicity. Sticking to the 5% rule should eliminate this concern. Now that you have brought your new baby home, teaching him where to do his business is of utmost importance. You have several options available. The most common housetraining methods are going outside, crate training, wee-wee pads, newspapers, and doggie litter boxes. My personal favorite is to take the puppy outside in addition to placing wee-wee pads all over the house. When you combine these two methods you don’t have to worry as much about inside accidents. The pads are there just in case. If you are going to train your Havanese puppy to go outside it is very important to get off to a good start. Your goal is to prevent accidents right from the start. It is important to watch your puppy carefully at first and to be consistent. Just tell yourself that housetraining your new baby is your job and that you are going to focus on it for the first couple of weeks. It is helpful if you can get your puppy on a regular schedule and feed him around the same time every day. This helps the puppy’s digestive system to get regulated and makes training easier. The two most crucial times to take your puppy out are immediately after he wakes up and immediately after he has finished eating. It is good to take him to the same spot every time. Also, be careful to watch for signs that your puppy may need to “go” such as squatting, circling, or sniffing. If you see these signs, pick your puppy up and take him out to his “potty” spot immediately. When he has done his business make sure to praise him or give him a treat. Havanese love to please and the positive reinforcement will make housetraining easier. 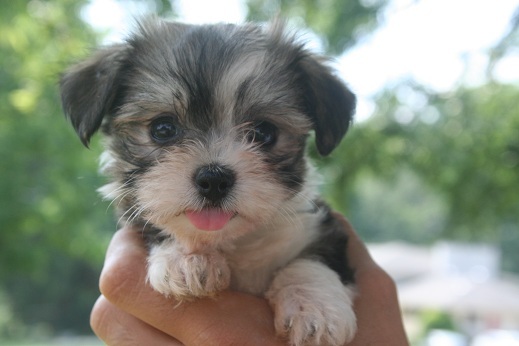 A Havanese puppy can “hold it” for about one hour for every month that it is old. This means that if you have a two-month old puppy, he should be able to “hold it” for about two hours. This works well when your puppy is in his crate but when he is running around the house it is best to try to take him out about every hour or so at first. It is better to err on the side of taking him out too often than not often enough. 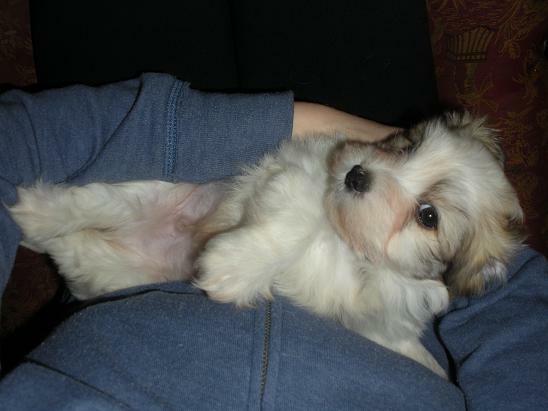 It is important to know that Havanese puppies are very playful and enjoy going outside. They tend to run around, explore, and play before they do their business. It is almost as if they have to work themselves into the mood. Also, some Havanese will go more than one time. Be sure that you stay outside long enough to give your puppy plenty of time to do his business and make sure he is finished before bringing him back into the house. It is a common mistake of new Havanese owners to assume that since their puppy is playing that he doesn’t have to go. They then take the puppy inside only to have him go shortly after. To make sleeping through the night easier, you can pick up your puppy’s water bowl a couple of hours or so before bedtime and take him out right before you go to bed. Crate training has been known to be a very effective. The principle behind crate training is that dogs usually do not like to do their business in their own “space.” There are exceptions to this rule but they are rare. When choosing a crate, I would recommend getting a crate that will be big enough for your Havanese when it is full grown. However, to crate train your puppy all you need is a crate with enough room for your puppy to stand, to turn around, and to lie down comfortably. You do not want enough room for your puppy to be able to go to the back of the crate to do his business. Some crates come with dividers, others do not. If your crate does not have a divider just find something like a paint can, a small box, or something else to put in the back of your crate to make it the correct size for your puppy. Once your puppy has become accustomed to not doing his business in his crate you can take the divider out. When you put your puppy in the crate it is a good idea to put his “blankie” and some toys in there with him. Havanese are bred to be companions and do not like to be left alone. Be sure to put the crate in the same room with you so that he feels like he is still a part of the family. You can move the crate around with you when you change rooms. It is also a good idea to put the crate by your bed at night so that he will feel more secure. At first, when you get your puppy out of the crate, pick him up and take him outside immediately. Do not let him walk on his own as he might squat and go to the bathroom as soon as he is out of the crate. With time he will learn that the routine is to get out of the crate and then go potty outside. WHAT DO I DO WHEN I HAVE TO LEAVE THE HOUSE? When leaving the house you can place your puppy in his crate. This usually works well unless you have to be gone for a longer period of time than your puppy can “hold it.” When this is the case, I have found that the easiest thing to do is to find a small area such as a laundry room, a small bathroom, or a section of the house that you can block off with a baby gate. First, place the crate in that area and completely cover the floor with wee-wee pads or newspapers. Second, place the puppy’s bed, blankie, toys, and fresh water in the room with him. The puppy will usually choose an area of the room to use as his place of business. When you see the space he has chosen you can pick up the unused wee-wee pads and use them later. This way your puppy has a comfortable place to sleep, plenty of toys to keep him busy, and he doesn’t have to experience the discomfort of having to “hold it” until you get home. You can then enjoy your time away from home without having to worry about being gone too long and coming home to find an accident in the crate with your puppy.